Once babies reach about 6 months, they spend most of their time quite wet! Whether it be drool, or milk, or splashed water, we hardly know. 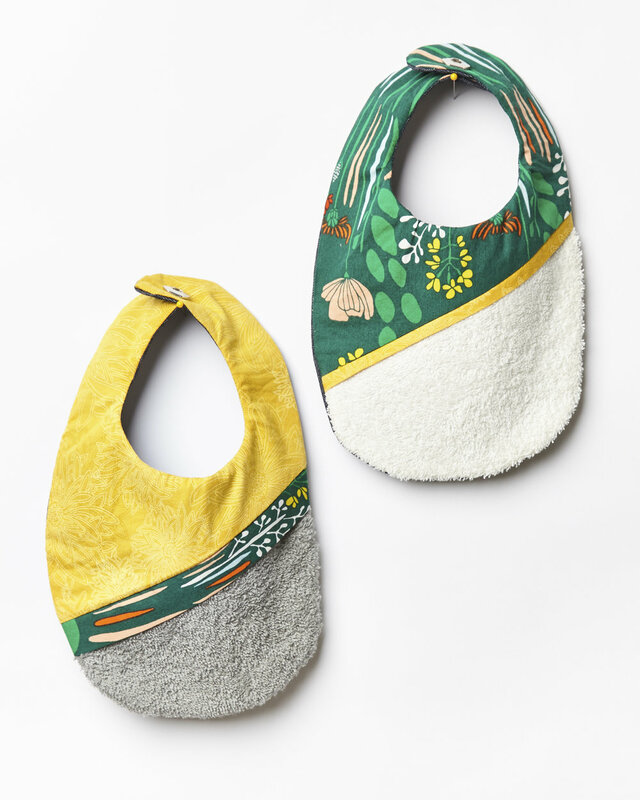 OffBeat Bambinos' Bib is here to keep babies protected and dry, well covered, and wearing a garment that is quite functional, very useful! 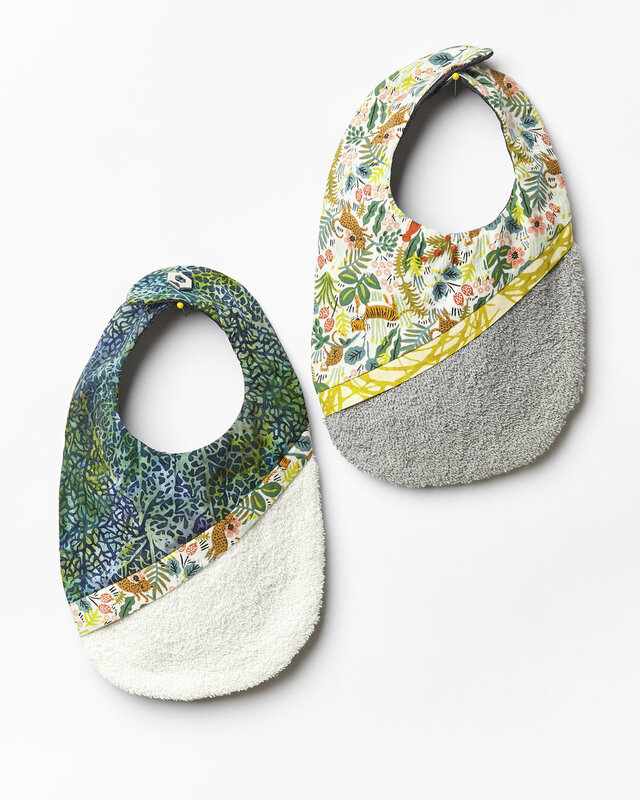 Not only is it a catch all bib, it is a beautifully crafted splash of color and texture for the sweet bambino. 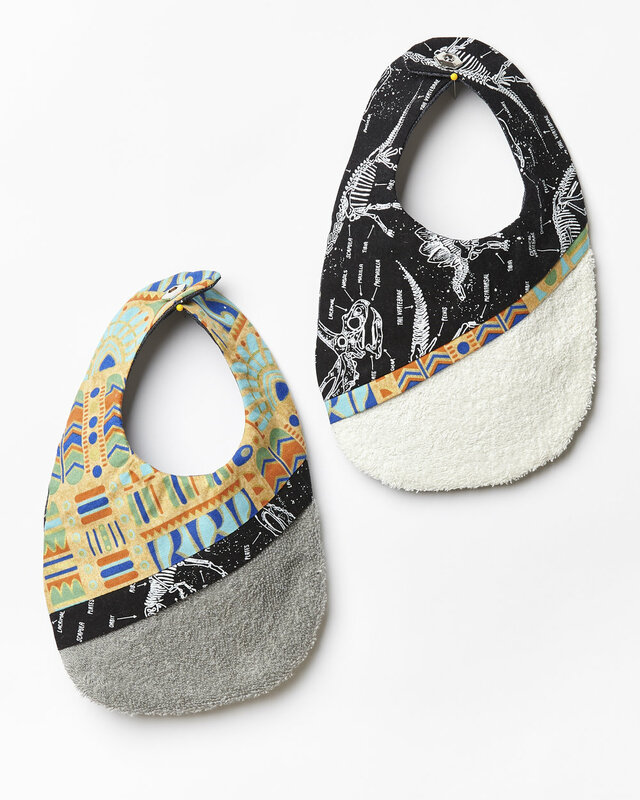 Just as all babes are unique and playful, our bibs celebrate their joy. We use graphic patterns and bold colors. We mix and match, we celebrate the eclectic nature of children. We are most inspired by children's picture books, epic films, nature and most importantly; the imagination as a vessel to creative energy. We are excited you’re deciding to carry OffBeat Bambinos in your space! Just as the nature of my bibs are unique and one of a kind, so is your business! Let's work together to create a beautiful story that your customers will love! 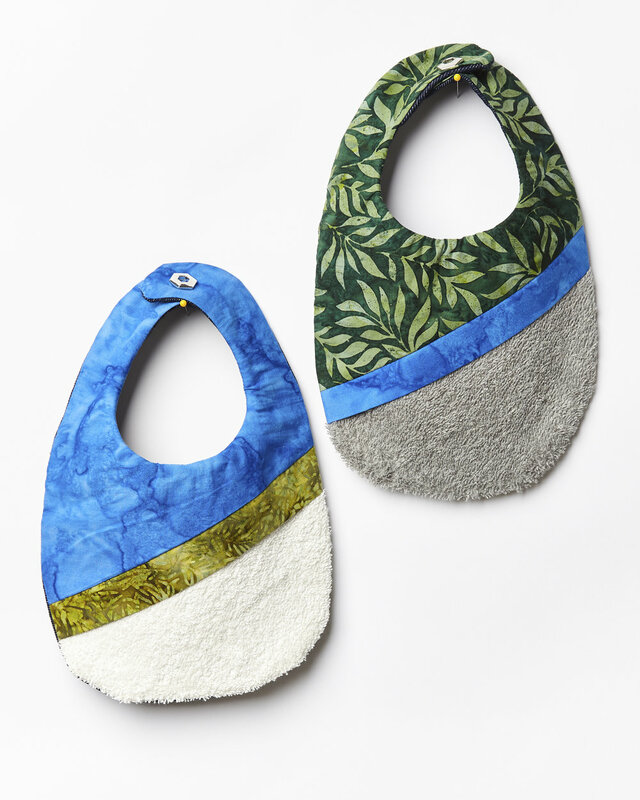 We offer Wholesale Units, consisting of 8 Sets of OffBeat Bibs. Our bibs are paired to be sold in twos. The Wholesale single Unit (8 pairs/16 bibs) at a 50% margin for a cost of $140. We offer a suggested retail price of $35 a pair. Minimums: We proudly offer no minimums on your opening order. Let’s work together to make the order suit your store needs best! Payment: We gladly accept VISA, Mastercard and AMEX, as well as Paypal transfers. Purchases can be made directly through our online wholesale hub. *Checks are accepted as payment for upfront immediate orders only. Shipping: All orders will be shipped out via FedEX, USPS and UPS. International Shipping and Custom fees may also apply. At O.B.B. we show the locals love! This means if you are a Seattle based boutique we will hand deliver right to your door! All we need to begin your initial order is your Business Name, Address, Phone and Merchant Number. Please include this information in your order comments. Please select the quantity of Units (8 bib sets) you would like to have for your boutique, and the collection you are interested in ordering from. Available now for in-stock immediate ordering.